I was recently asked by a reader (and I've been asked before as well), “Is [building niche websites] a numbers game?” Essentially, they were asking, do I just need to build a bunch of niche websites in order to make good money from these sites? My answer in a nutshell is “Yes”, the more sites you build the more likely you will have some BIG winning websites which can really catapult your income. The reality is that no matter how much keyword research or linkbuilding you do, some of your sites are going to be losers and not make much money and others are going to unexpectedly earn alot. So am I saying that building niche websites is all up to luck? Absolutely not! You greatly improve your chances of success by developing the necessary analysis skills that it takes to pick great keywords and build great sites. However, there IS risk involved (as in any business), so sometimes things don't go as planned (both good and bad). I really want to drill home the fact that simply because some of your sites fail or even alot, does NOT mean this business is a failure by any means. I want to take a look at 2 examples of businesses where they “fail” most of the time, but are still highly profitable businesses. First, I want to look at salespeople and then I will briefly review the Venture Capital business model. Finally, I will reveal my own “success” and “failure” rates for the niche sites that I build. For every 25 cold calls you make – you will get 1 lead interested in moving to the next step. The next step usually being a more in depth sales presentation. This might be an invite inside if going door to door or an okay to continue or call back if you are on the phone. For every 5 “sales presentation” you give – you will get 1 buyer. Overall, for every 125 cold calls you make, you might get 5 buyers. This would be a 4% Success Rate (and this is probably pretty high depending on what you are selling). 2% is probably closer to normal. 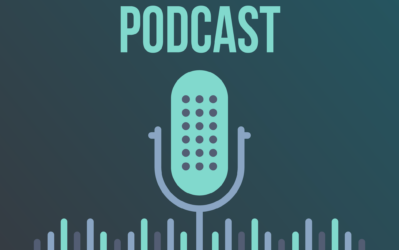 Obviously the numbers vary greatly depending on where you get your “cold call” lists, what you are selling, and more imporantly what sort of sales skills you bring to the table. If you are a seasoned sales professional, you might have a success rate that is twice as high as someone just starting out. The point is if you are a typical sales person, you have a FAILING RATE of 96%! Most of the time, you are not making any money – but its a numbers game. You know that 4% of the time, someone will say yes, and that MORE THAN MAKES UP for any failures – even at a 96% failure rate. You might think, Well, direct salespeople might fail alot, but surely that doesn't apply to other industries. Well, lets take at the highly skilled and talented people behind Venture Capital firms. These are highly skilled and trained people with high levels of experience. They put in HUGE amounts of due diligence and analysis in before they invest real dollars into a new business, right? Of course they do! So, every business must be a big success that is backed by venture capital firms, right? Well, that's not the case at all. Its hard to find exact numbers and obviously it varies from firm to firm, but I did find 2 interesting articles which backed my suspicion that MOST venture capital investments are a FLOP. This article here, shows that probably about 66% of all Venture backed startups are not profitable (lose money), the other 33% are profitable. This second article here is from a VC guy that says exactly the same thing that only about 1/3 of investments will ever MEET EXPECTATIONS. So, should VC companies pack their bags up and call it quits because they fail most of the time just like direct salespeople? Of course not! The 33% of companies that actually make money are so profitable that they more than pay for the failures. So even with all the analysis and skill that VCs use to analyze their investments – they still get it wrong most of the time. But it doesn't matter because they made boatloads of money on the 1/3 success rate. I do want to point out obviously that if they didn't have all the experience and skill and huge amount of analysis, their success rate would be MUCH lower. If they were throwing darts at a board, they wouldn't be around for long. The exact same thing can be said for building niche websites. Its a numbers game. I thought it would be interesting to see how many of my sites actually meet or exceed my goal of $1/day, and how many sites are losers. So, I went through all my stats for the past 3 months and determined how many sites met certain thresholds listed below. I will just state that I have over 200 websites, but I have also just build about 50 in the past couple of months and lots of these sites haven't even had a chance to start ranking. So, I did my best to give realistic numbers by adjusting the number of sites looked at for those types of circumstances. So, these numbers aren't perfect, but they give you an idea of my success ratios and perhaps what you might be able to expect as well. So, for every 100 sites I build, 10 will earn me more than $100 per month. Obviously some of these are MUCH more than $100 per month. The last time I posted the earnings of my top 5 sites is here for example. These are the big winners that more than pay for any losers. 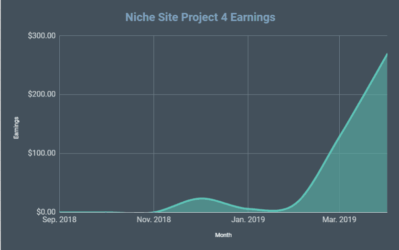 Its difficult to predict what new sites will have this kind of success because of so many factors, but for me personally, about 10% of my sites earn over $100 per month. The second category of $30 to $100 was created because my goal with each site is to earn $1/day or $30 per month. So, I have about 20% of my sites that fit into this category. These sites are very profitable. If you take a number of say $100 to build a site with linkbuilding and everything (some are less than this), even a $30/mth site earns $360 or $260 profit in year one. In year 2 the profits are even better because the only cost might be for the domain of $10 per year essentially for a profit of $350/year. But this example if for sites that just barely earn $1/day; for sites that earn $2 or $3 per day the profit margins are MUCH better. The third category of sites is my $5 to $30 per month. These are my sites that are still profitable – about 40% of my sites fit in this category. Even at only $5 per month a niche site is basically breaking even. It will earn $120 over 2 years. Most of my niche sites will cost right around $120 to build and maintain for a period of 2 years. ($100 to build and for links and $10 for domain renewal the second year). However, remember most of the sites in this category are earning MORE than $5/month – this is just the bottom end of the category. Lots are earning $15 or $20 per month which is actually still quite profitable. The final category are sites that I lose money on or about 30% of my sites. Yep, I fail about 30% of the time. For every 3 sites that I build, 1 of them loses me money. Should I quit?? Of course not! The sites in the other categories more than make up for these losses! I look at it JUST LIKE the Salesman and VC examples that I gave. I know from the outset that almost a third of the sites that I build will be a complete flop. But I also know that 70% of the sites that I build will make money and 10% of all sites will make ALOT of money. So, building niche websites is indeed a numbers game. What Success Rate Should YOU Expect? Should you also expect the same success ratios? That all depends. If you are new to this business and don't understand the importance of keyword research, then you are probably going to fail much more. Lots of people will try this business and never be able to make it profitable. However, if you are able to dig just a little deeper for great keywords and do just a little bit more analysis of the Google competition then you can increase your success rate enough to start making some real money. However, if you treat this like you are throwing darts at a chart blindfolded, then you are going to fail miserably. So while some sites will perform unexpectedly well; its not this “luck” that a business should be built on. The VC may “luck out” and find the next Facebook. A salesperson may “luck out” and knock on the door of the next biggest sale ever. You might “luck out” and build a new site that makes you thousands every month. But the reality is that each of these big successes come with lots of analysis, hard work, time, dedication, and most importantly ACTION! The more sites you build based on your best effort analysis and keyword research the more likely you are to be profitable in this business. So, yes, most of the time my sites never meet my $1/day expectations. But overall because I have taken enough action and built enough sites based on good research, I am enjoying a very profitable portfolio of niche websites. What do you have to say about your success rate? Have you experienced similar numbers? I would love to hear your thoughts! Those are awesome stats for the sites you build. Did you find that you had a lot more failures at the start? Even now you still experience a 30% failure rate? Also, what do you credit for the failures? Too high of competition, too low of CPC, too low of a conversion rate, no Google love? Yes, I did have more failures when I first got started. I tried to go after difficult keywords in very competitive niches. It took me a while to learn the whole low competition thing. I still credit the failures to either too high competition or lack of strong links to the sites. I suspect that large scale success with niche sites is mostly a numbers game. This is a critical factor that must be considered up front for anyone looking to do niche sites. Like the famous home run hitter for the Yankees, Babe Ruth, you gotta swing at a lot of balls before you finally hit one out of the park. I started with the wrong mind set: that I could pick a winner every time. When you think that way you set yourself up for frustration. I spent too much time writing articles and building backlinks to finally rank well for keywords that I *thought* would do well… but didn’t. Lesson learned. If you’re going to do niche sites, you must become like a factory and keep churning them out. No emotional investment in the niche. Research it; build it; backlink it and move on; returning only to update articles or add new ones occasionally. Then, move on to the next niche site. The real question is this: does this type of business and work appeal to your personality type? If so, then go for it and crank out the sites now! Well said Richard, I totally agree! Thanks for the input. Spencer, I’m reading the 80/20 Principle right now by Richard Koch and found your success and failure rates to ring true to the theories presented. thanks for sharing this information. Too many people share just the success and as a results newbies like me get a false sense of hope. Or I should say quick success. Agree with you 100% regarding finding good keywords. I only have three sites up currently. Only one of those earns me money. thus far its $5.00 per month average. Cool thing is that I haven’t even really figured this out yet. I just found your site a month ago and am finding out and learning so much more. thanks and keep up the great work! Thanks for sharing your perspective Brian! Thank you for this honest data. I am a beginner and interested in hearing what the failure rate you got when you just started building niche site? If you can give an estimate on failure rate for beginners, it would be very helpful. Thanks a lot for sharing and inspiring. Its hard to say, as again it really depends on how much time and effort you put into learning and picking keywords. But having 30% of your sites be profitable is probably in the ballpark for beginners. I appreciate your candor, but disagree with the method entirely. Yes, you make good money overall – but putting more time into market research into tested and proven markets and profits had yielded me an income that, site-for-site, still leaves me happy I don’t do AdSense. Properly done research up-front into proven winners isn’t a mystical game, either, it’s pretty simple – but too many have the mindset of go-go-go and one day you make an income. I added up my income my first year online from one AdSense site, my first – it made almost $900. That sucked. So I made it into an affiliate site and it makes $60k a year. That’s less sucky. Hey James – I think that’s great that affiliate products works better for you than Adsense. I don’t disagree that there is a lot of money and probably even more to be made with affiliate products. But I’ve found a model that works well for me. To that I agree – but I still don’t understand the AdSense mindset (though I used to be die-hard and all about AdSense). Sounds easy. It was. Then Google gets better, sites don’t make their new cut – etc., etc. What I learned early on is that if you’re putting up ads to a product and your visitors want to buy – why on earth wouldn’t you just sell the product? You make 6 figures. You could be making tons more just by moving business models. But that’s just me thinking out loud – I personally think you’re sitting on a mint even though you’re making one. Hopefully I’m not coming off rude here, not my goal – I just think AdSense is the IMer’s opiate, there’s lots more money on the table. I have sites that have both affiliate links and Adsense on them. My Adsense earnings have been building up month on month and are now $80/month on average (about 99% of this is from 2 websites). My affiliate earnings in total over the past 3 months have been $0.50. I removed the Adsense and I still make nothing. In fact, I’m now of the opinion that my affiliate links are actually harming my Adsense earnings to some degree (clicks but no conversions). There’s no way I’d actually sell the products I’m advertising because they are high risk, expensive to store and I live in a different part of the world to the audience on my sites. Adsense is just fine for me right now. I disagree James, I make $2,000/adsense and $3,000+ with Amazon/cj physical products. Some sites do better with adsense and some do better with selling physical products in my experience. There is not always a great product to sell on some of my adsense sites. James has good points – if you can sell your own product then its higher profit margins. One of my niche sites I created my own products because it made sense. But I, like Gabe and Kit here, like Adsense because it allows me to build sites on topics that I could NEVER possibly create my own product for. How do you create your own airplane, jungle gym, washing machine, or billions of other products. Yes, there are some great markets that are very lucrative for affiliates or for creating your own product – but with adsense you can get into other markets that are very lucrative that sometimes don’t have a good affiliate program for. Anyway, James – your point makes perfect sense and I’m never saying that people should only use Adsense. I personally like it because it opens the doors to billions of keywords that I could not target otherwise. to be the winners since the day 1? and not focusing into the winners instead? 2. I still develop because you can’t always accurately predict which ones will be big winners before you build them. I DO focus on the winners after they are built and make them bigger. But I continue to build new ones so I can find even more big winners. When you made the estimate on failure rate, you did not count the new sites because they haven’t even had a chance to start ranking. How long do you give a new site before evaluate whether it is a winner or loser (3~6 months)? I usually can tell after 90 days. Some sites you will know if they are winners after just a few weeks. But after 90 days, you can usually have a pretty good idea of what is going to rank or not. I just might try this out. Actually just sold a site yesterday to a private seller – just a small one. I may try flippa out to see how it goes. Yeah, when I first starting thinking about Adsense sites, I figured that “bundling” and selling the bottom performers (30% in Spencer’s example) would be the prudent thing to do. Even if you sell them for a loss, you’re no longer investing your time and resources into maintaining them. Move your efforts into new ones or your top performers. The 80/20 rule lives here too. Well said. At the end of the day, it’s not a get rich quick scheme (thankfully! ), it’s a business, and basic business principles still apply. One of which is that we often overestimate what we can achieve in the short term, and underestimate what we can achieve in the long term. You’ve mentioned in the past that you spent five years making mistakes to get to the point where now you have achieved a 70% success rate. How many people will look at this post after five days of trying niche marketing and consider themselves a failure for not getting the same results? Our company opened three physical stores this year in major shopping malls, each with the same foot traffic, same demographic, same locations within the malls, two of the stores have done really well, and the other has been a complete flop. I won’t tell you how much more a physical store failure costs over a failed niche website, but I’m sure you can guess! Give me a niche site failure any day of the week. Nathan – thanks for sharing! Its so true that failures online are so cheap compared to the high costs of a brick and mortar business. I smiled when I read your sales examples. I used to be a sales mgr for Pitney Bowes. We preached cold calls per day would yield 3-no’s, 3 maybe’s and 3 leads. Out of 10 maybe’s 3 would turn into leads. Out of 10 leads 2-3 would turn into sales. I was glad to see your stats. I am following a similar business plan after wasting the last 3 years trying to learn IM through WSO’s. I have also noticed that sites that are a couple years old often take off after months of no action at all. I have one that is now averaging nearly $50 per month. Its a .info site. I never even set up any back links. Must people think they will start making money from their first first sites. but from my experience this sites are more for experience . The thing is to continue making more sites until we reach to apoint of being more agresive on choosing more difficult keywords which have more traffic but first i think that quantity will be better ….. until they crack the code of having a Adsense Business. Thanks for opening this question for discussion. I have spoke to you lately about this very question. One line of thought is that deep keyword and competition analysis will indeed improve your chances of finding winners. More in, more out kind of thing.. But then I also think that googles numbers can be a guesstimate at times anyway so even after the hard work, you can never know until you have thrown it out there. I suppose the biggest problem for me with the numbers approach is the expense that that could bring. I do think that your approach is a good one though. Get the keywords right but also get the sites built quickly and at as low cost as possible would be an important factor. There is of course the point that when you do find a great winner, and you will with spencers method, there is nothing wrong with turning that site into an authority site. Nice breakdown Spencer. I have to agree that not all of your websites are going to be winners, but the more you have, the better the odds are. I will say that one thing you do have to be careful of is trying to squeeze profit from a losing site by spending more time on it then others. I’ve fallen for this before because I believed a certain site would flourish, but eventually, I just continued to waste time. In other words, you gotta know when to just move on from a losing site. I’m actually getting back in the process of building more sites this month with Adsense now, as I won a reconsideration request and got back ALL of my de-indexed sites (and rankings, too) because of a mistake Google made. Thanks for the post though man, and congrats on your recent success with Long Tail Pro finally going public, too! That’s a great point Bryan. I’ve also invested a good deal in “losers” before I finally decided to move on. Some sites will naturally rise to the top – invest in these winning sites for maximum success. Do you mind to share which mistake Google made on de-indexed your sites??? Nice analysis, Spencer, and very helpful info to know. One question–of your 30% failures that make < $5/month how long do you give them before setting them aside to work more on your winners? Or do you always go back to the 30% losers occasionally and write another article or do more backlinks in the hope that they'll improve? I wait 90 to 180 days. Usually only 90 days before I move on. In fact I build new sites each month – so I don’t even wait – I just keep building. If its a loser, I leave it alone. If its a winner, I go back and add more content and links. Great post at exactly the right time Spencer. A few months ago I built 6 new sites. 4 of them are in the $5-30 a month earnings range at the moment and the other 2 are less than $5. I thought I was not doing so well. But your thoughts have put this into a better perspective for me and given me more confidence going forward with my business. Now on to some $100 + sites I hope. Martin – I think you are on the right track. Last year I built 20 websites without any backlinking.After 3 months,2 sites started making $40 a day,the other 2 were making around $8 a day.In my excitement I bought 80 more domains but I havent had the time to develop them (what a waste of money). Wow that’s pretty good without any link building. I made the same mistake with less domain though.Lesson learnt. I think if you build 5 sites monthly max is the better way to go, if you have a great budge to spend on sites maybe you can build some more, time is not really an issue if you have money, you can outsource the whole thing. Thanks for sharing Franz! Maybe with a little bit better research – you can increase your odds to 2 out of 5. Thanks for these thoughts man! They’re really helpful and helps boost my confidence in moving on with this kind of business. I have had a lot of success (or luck!) with Adsense so far by building content sites. I have 2 sites that make me a nice tidy income and keep getting better. So, in my opinion, as long as you pick the right niches, less is more in terms of websites. Each site requires a lot of effort in writing the content, backlinking, keeping the site updated etc, so by having so many websites, you are just spreading yourself too thinly. Your points are well taken. I just have not been fortunate to have success with all of my sites. I started out my IM career building one super high quality site – but got no visitors. I tried this 3 or 4 times and never had any success. Obviously it would be great if you could just build 1 or 2 sites – but for lots of people those sites never make any money. Fair call. Perhaps people don’t spend enough time researching a new market. Now, before I enter a new market, I EASILY spend 90% of my time researching it to see if it is going to be worth the time and effort, and then the next 10% building it. It’s hard to resist the temptation to just dive in there, but I’ve found that research is key. But perhaps I have also been lucky. In my experience, once you do find one that works, analyze the crap out of it to determine what it is that makes it work. Then replicate. Good to hear that you didn’t give up after a few failures – that is definitely the key to succeeding at this. My first few websites were a complete flop and I’m now glad that I didn’t give up. Was tough getting back on that horse though….. So I think is better have more sites making less money than have just few making a lot, the risk is high nowdays with all these never ending google updates. Exactly. It’s all about the slap. If you believe its Domain registation + Domain hosting then your valuing your time and effort at 0 which is not a business its a hobby. Im confident that SPencer does a fair degree of research using long tail pro ofcourse (:-) and has pretty tough selection criteria. SPencer has written about all these things on the blog already. Really interesting post this Spencer. I think the conclusion is straightforward – if you really want to give the whole niche site business model a go, you should commit to at least say 10 sites to give yourself a chance of succeeding. I’m here to tempt you some more. Go for it! Can you give a breakdown of how your average sites costs $100 to build? I imagine it’s $10 for the domain. 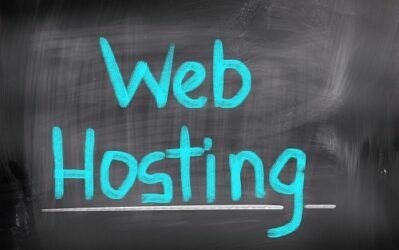 Do you amortize any of the hosting or consider it a separate cost? Using textbroker for 5 articles, I’m assuming you’re paying somewhere around $20-$30 per site for articles. Is it fair to say you’re spending $50-$60 on a link building package? If so, do you use an individual to build them that you contract with on a regular basis? If you do everything yourself without a VA – it would be less. So, a site might cost anywhere from $60 to $100 to build. So lets take the $100 as a guide. Al caveats assumed. Now we wont earn that from day one. Lets assume that we already know how to do this and have 100 keywords to target. Also that even uing outsourcing we wont have all the sites live and index until the end of month 1. Allow another 90 days (3 months) to get income to these levels. Now th eproblem ofcourse is Ive taken worse case on each range so in reality whats the most likely senario based on your experinece? Not even close to my experience. As you can see from my income reports (and I have about 200 sites), I make over $10k/mth from my sites. So, around $5k/mth per 100 sites. The sites that make over $100/mth make WAY more than $100 per month. This is throwing your numbers way off. If I was only profiting about $4,400 from 100 sites, I would never do it. I am probably profiting about 10 times that on 100 sites. Woooow, It seems like you took that very much the wrong way!! Im fully aware of your pretty damn imprssing income against the number of sites!!!!! My assumption is that what your suggesting is a very few of the site make a very much bigger number than $100/mth other wise youd not getyour results. We already know you make a third of the income from 5 sites! This was in support of the concept that youhave to build lots of sites (Based on good research to get some big winers. and building 10 sites youd have to be very lucky tomake decent money? Steve – I wasn’t taking your original post as negative at all – actually I think you provided some great value! I was simply showing how the bigger sites really skew the numbers and make building niche sites worth it. 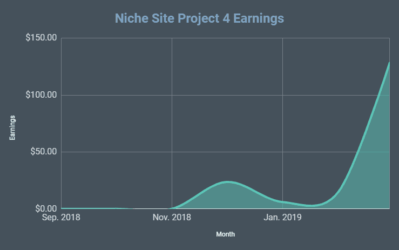 Your calculations are correct and I didn’t mean to demean that – I was simply stating that only looking at the minimums (especially for the sites over $100/mth) greatly underestimates the profitability of niche sites. So my answer was essentially that those minimums are way off because it greatly underestimates the higher earning sites. So in my experience I would use the calculations you showed EXCEPT for the higher earning sites. Anyway, I think we are on the same page now – and hopefully this explains what I would expect based on my experience. I tend to get into the details with your posts as they are pretty darn awesome. And the data you provide is brilliant. Whilst I have my own numbers for costs and ROI’s etc there nothing likes comparing them to somebody on the same Battle field  even if you are leading the charge. Spencer, first thank you for this great site, I really found it beneficial! If it’s working go for it, else leave it. the time to create a new site, it just a 30min or so.. So it shouldn’t be a no go factor. Since finding the right keywords is the most important factor by far (we are looking for very low competition..), I don’t think invest in articles in this stage is a must..
is it make sence to you? Again great stats that we can learn from your past years’ experience! I liked Richard’s comment… really spot on! This helps us to set out mind set about building adsense site… Build 10 get 3…LOL! But you still get to keep the remaining 7! Thanks for sharing the numbers with us. Do you by any chance use a check list when building niche sites? Spencer has a full blown step by step PDF on his site. Hey Spencer, did you notice a drop in any of your rankings early this morning? Apparently there was a “minor” algo update. The new feature on LTP (advertisers) is superb. Thanks Spencer for a great article! As a beginner, its great insight to be reminded that longer term success will come from building a diversified portfolio of sites. I imagine that losing confidence after a first few under-performing sites is what deters many people from continuing the same effort into more sites, ongoing. In regards to the adsense vs affiliate debate, I think success in either of these sites depends on how well the webmaster (or VA or article writer) is able to write relevant content for the keyword. 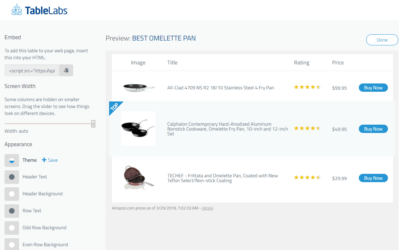 For example, affiliate sites will require better sales copy for the product in order to convert, whereas adsense is probably a better model for information-based sites. Writing copy to sell a product requires careful attention to its conversion features, so would probably require more time investment upfront to fine-tune this to a high-success rate (compared to writing information-based articles monetized by adsense). Don’t think there is anything right or wrong in either model but if something requires more time to be spent upfront, it takes longer and more persistence to make it more scalable in the long term. Hope you didn’t get hit too bad by new panda. No I didn’t, did you? Not sure whether to be happy or sad. I guess no change is probably a good thing (considering what happened to others). So far I only have one site doing ok with another a bit behind though some of that is down to inexperience. I now feel I have a better grasp on what constitutes a good keyword to target and I’d like to get more sites up there soon. However, I don’t have time to write loads of articles and until I start getting some income, I can’t afford to outsource several articles for each site. My question is … What are your opinions on sites that apart from having a contact, about, privacy, site map etc page … only have one page with content about the targeted keyword and no related article pages. I have noticed one particular person who seems to get in the top ten of google for his keywords and wonder if this is still a valid model? Aren’t you at all concerned that Google may one day mass deindex your sites or ban your adsense account. What steps have you been taking to avoid such an outcome. I am confident of making a lot more than I do right now, but scared to do so because of the G! shaft. Shed some light..I really respect your work. – He has sites spreaded in different hosting and ip address. So i’ts impossible Google de-indexed all his sites with 3 different adsense accounts and different hosting ip address. He posted if Google would knock his accounts down he would just make others LCC companies and start it over again. That’s what Spencer always done and still doing and he never had any problem.If you have any trouble to follow Google rules, as above, just check this whole site out. its an intresting question Spencer. Do you focus on vertical or purely driven by EMD and tarffic/Comp? EMD is not that a big a deal for me. Its more based on top 10 competition than anything else. cool. so no verticals just what you find that fits your criteria? Great question! The primary reason lies in the domain name. Lets say you have a page on a site with 10 backlinks and then you have a domain targeting the same keyword with 10 backlinks – the domain will rank higher. Anyway, the reason is because a site with domain name targeting a keyword AND and article on the same topic is easier to rank than just an article on a site. However, I may be building a larger site like you mention in the future. You can do both! Recently few of my niche websites got slapped and lost 80% of traffic.. Sad.. Were any of your sites affected by the most recent Panda update? Thanks. Yes, some were. Some went down but others went up. The movements were very small (just a few positions) from what I saw on my sites. Spencer, do you have multiple adsense accounts? If so how many? Yes. 4. 1 Personal account. 3 Business entities. Nice post Spencer! The recent update of Google panda has hit across lots of adsense owner including myself. One of my websites has 60 pages of unique contents but it has drop in ranking as well.. Doesn’t really understand what Google really want sometimes. May be Spencer you can give some opinion as well. I wish I had more insite, but as I just posted on a comment to Omar below here – the movements were not very big for me for the most part. Hi Spencer, is all your niche sites using Google analytics for traffic tracking? Yep. It does seem like there was a recent algo Shift around Oct 13-14. Would love to hear how this effected you Spencer, if at all. Omar – I did notice some shifts in rankings. Some of my sites did indeed drop a little, but not more than 5 to 10 spots on any of them. However, I also saw lots of increases in rankings – so I saw lots of movement but not all of it was down. And the ones that were down only moved a little. Spencer – stumbled upon your blog recently. I am also into the niche site model and have close to 20 now (having sold a few in the past). Have you given thought to feeding the stallions and starving the pups? Why not grow the profitable one to an authority site and capitalize on other income steams such as private ads, affiliates, own products? Curious about your thought process. Is time better spent cranking out more niche sites than growing those which are already showing promise? Great thoughts Sunil – yes, I have thought about this and have done it. My bigger sites I give more content too and build larger – some of these sites are over 100 pages of content. I have created an original ebook for one of my sites as well that I sell. So, I definitely capitalize on the big winners – the losers I just let them earn the passive income that they can. Great post mate (it was actually a question I put to you a few months back now, so thanks for answering!) … and offered me alot of inspiration that I’m on the right track, cause I’m seeing pretty much the exactly the same stats on my network of sites. Next question – are there any free wordpress themes out there that you could suggest to us as good candidates for niche blogs. I’ve tried a variety of them myself, but havent yet stumbled across one that I’m absolutely hooked on. Niche sites are new to me, and I am trying my hand at it. Problem I’m having is I have a personal blog that similar articles rate better than on my niche sites. Should I scrap niche sites and just post on my personal blog? Or should I give my niche sites more time? If you have a good thing going with your personal blog that is making good money – stick with that. I know a lot of different things work and make money online, but I was just talking to a sucessful internet marketer that I know who has told me that he thinks the days of putting 100 micro sites with little content and few links are coming to an end. Now I am about to jump right in to your business model her Spencer. I like the concept and have longtail pro. You’ll find that thin 3-5 page sites with 300 words and poor writing will be getting knocked down the serps. BUT if your in micro niches then they will still do ok because theres nobody to knock you down. Youve always had to do backlinking for longevity anyway. So yes the days of 10+ and 500+ word sites ranking easily and quickly are amongst us. and if the niche really does have traffic and good cpc the little sites wont win out with time. I think there is some wisdom in what he is saying. If you put up 100 micro sites and leave them – they will die. However, if you find some big winners and then build those into larger sites, then this is still a good strategy. This is what I have done all along – feed the winners and let the losers die. You actually put in a lot of details often missing from many sites, as far as some of the finer points are concerned. I have checked out some of your other posts, and have found a similar high quality. When I first Started Blogging, I heard a fair bit how people were knocking up anywhere from 50 to 100 sites, of not so great quality(a few pages) then slapping Ad-sense and/or Affiliates links all over them. I almost jumped on board a system that was being offered, at that time. I think that the whole idea was to basically saturate the web with so many of these sites(carrying the affiliate links to the system in question) and from there it was a hit and miss affair. I became a bit overwhelmed with the numbers(sites) that were recommended to maintain. I’ve been in a quandry between how to spend my time. Concentrate on fewer sites but with better content or spread my work over multiple sites. 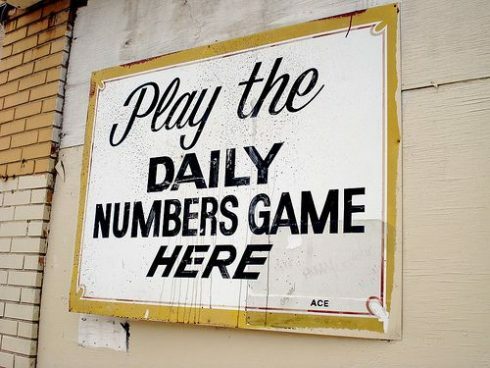 I’ve decide that in the long run I do need lots of sites to play the numbers game, but I will spend the same amount of effort on one site as i do another. I want my sites to be quality destinations and not just another spammy site simply there to get clicks. I know the aim is to get adsense revenue but if I can make the web a better palce and put useful information out there then I’ll be happy. Hopefully this will pay off and the sites will rank well, but if they don’t then I put it down to experience and move onto the next site. Hey Adem – there are lots of people that spend all of their time on just one site and do very well. In fact, this is probably ideal if you can find a niche that you are passionate about and is performing well. So, I agree that if you can somehow make the web a better place through what you contribute – you should do that! I basically want to do the same thing you are doing and have no problem getting plenty of sites made, the problem is the linkbuilding and getting them ranked. I would not be able to do all this manually myself for so many sites. In your opinion what would be a good option for so that when the sites are built I would not have to worry about doing any linking myself. Say if I wanted to build 20 sites per month. What would it cost to have a VA take care of doing the backlinking for those sites? A guess or estimate would be good. And also is there any place you would suggest I look for a VA? Or would it be easier at first to buy services from IM forums like BHW, WickedFire, or Warrior Forum? Yes, I outsource link building to VAs. If you can assign them the correct tasks, they should be able to do a good job. So, a big part of it is developing a link building system that you can then assign to your VAs. So my question about this whole numbers games is how to do you manage 200 websites or more? You obviously didnt build them all in one day, one week, or one month. Im sure from reading your website you spent a long time developing them all, but once you get one up and running, do you have a maintenance plan?–adding more content, link building, socializing, advertising, etc? What is your plan and how often do you revisit the plan for each website? Aleshia – its actually easier to manage 200+ sites then you might think. Most of my sites don’t get any sort of maintenance after the first 90 days or so. For the most part, once my site starts ranking on the first page, I leave it alone. I have sites that I have not done ANYTHING with in 2 years. However, some bigger sites, I might add more content to or build links to. These are sites that I believe can earn more with more content,etc. So, some of these sites I will revisit on a monthly or quarterly basis to reassess the plan. But that’s about it. The sites for the most part are very passive. Thanks for the reply. Thats awesome to get your websites to the top that quickly. I guess another wandering question I have is if you set up a website with say 5 articles, do you leave it at that for the first 90 days to see what happens or do you heavily submit articles with back links to sites like ezine or goarticles, etc? Or is there more to the process? I am so anxious to start up several websites to get going, however, I am nervous about adding a small amount of content and not promoting it properly. So are you leaving the websites alone after you create the content directly for the site or are you creating extra content to send traffic to your website? I mean I know writing more content for your site is what drives the traffic and I dont have a problem, but I guess I am looking for both short term and long term results…..what is your thought on this? Do you know whether exist hosting services where you can pay month by month? So you stop suddenly to pay the hosting for website that don’t make money, instead to pay them at least for a year (with bluehost I guess each website costs around 120$ for year). I’m trying to stay off this site so I can focus on the work I’m doing right now without feeling the need to set up some more niche sites!!!! The idea of having sites I don’t have to touch after 90 days of work sounds amazing though.